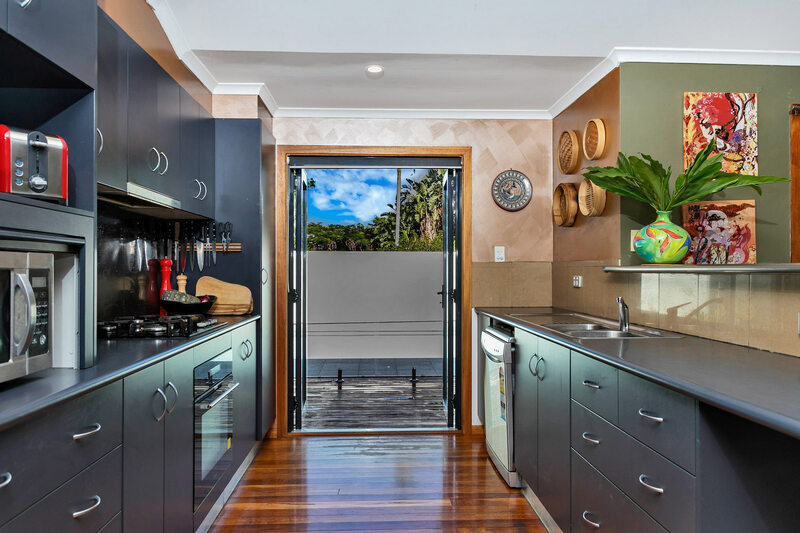 Nestled in the hills, this beautifully presented light filled open plan house is perfectly situated to capture the cool breezes coming off the Pacific Ocean. 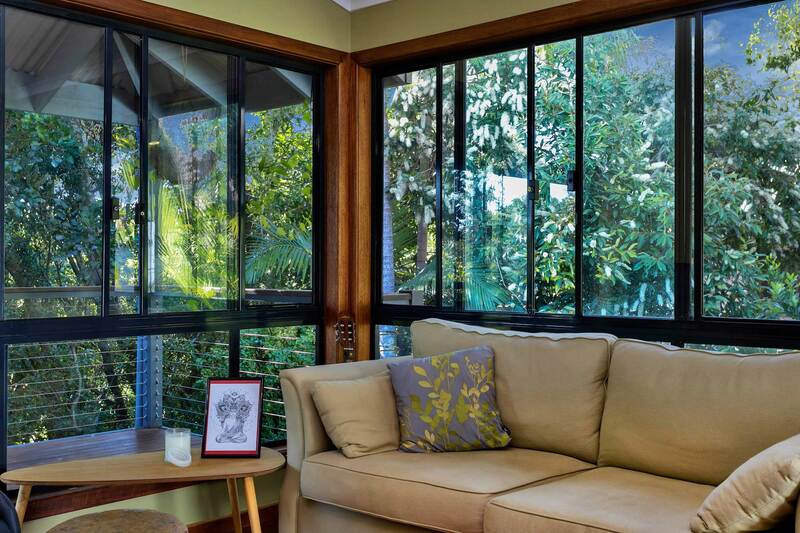 The property enjoys a tranquil, peaceful location with an abundance of birdlife and a huge garden to explore. This immaculate 3 bedroom house (1 queen, 2 singles and 2 trundles) sleeps 4-6 people and is perfect for a family holiday. 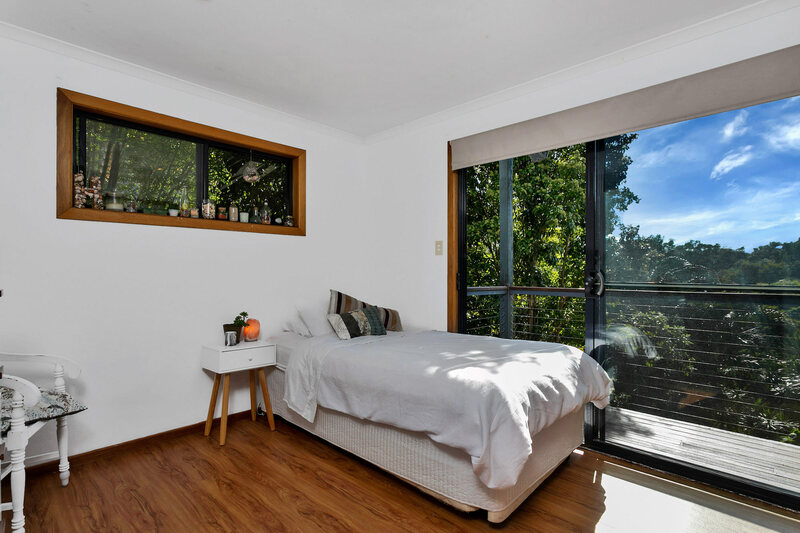 The main bedroom located upstairs enjoys its own ensuite and private balcony with the 2nd and 3rd bedrooms situated downstairs with the main bathroom and living areas. Jannah comes with an open plan living/kitchen area with direct access to the sparkling pool and deck. There is a BBQ, Wi-Fi, 2 x off-street parking spaces and laundry. 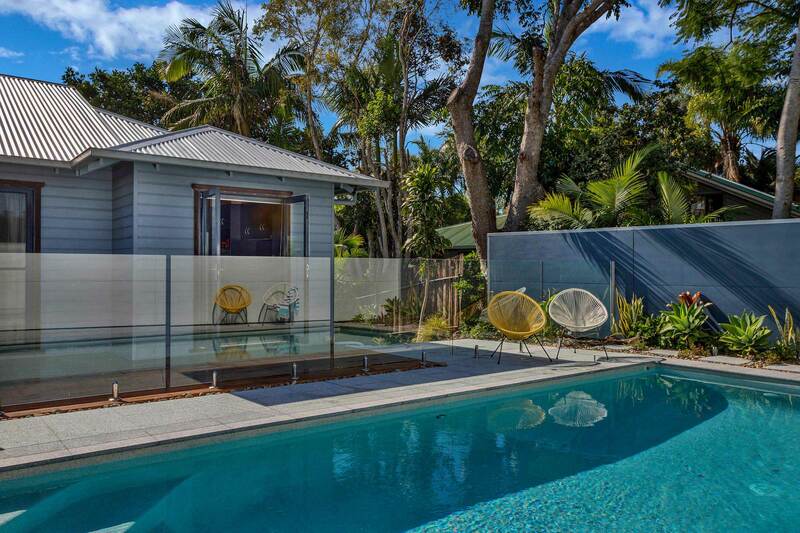 Jannah is central to a number of the North Coasts most desirable destinations. 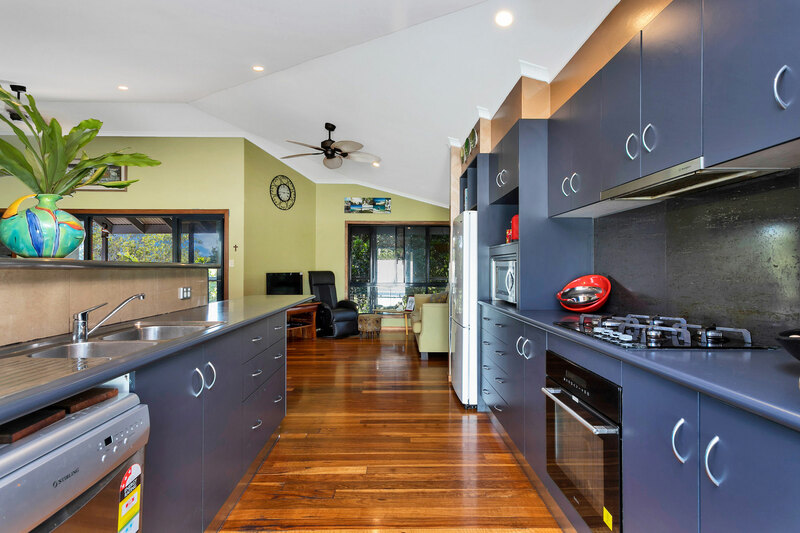 Just a couple of minutes drive and you are in Lennox Head with its beaches, cafes, restaurants and shopping centre. 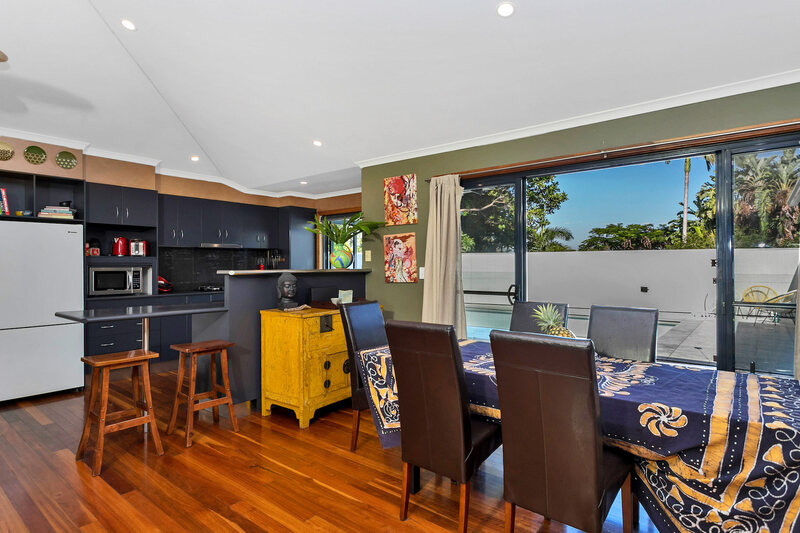 A 15 minute drive and you will arrive in Byron Bay to the north or Ballina to the south. Pets will be considered, however, the property is not fully fenced. Jannah, symbolic for 'Paradise', is the perfect place for your next holiday. 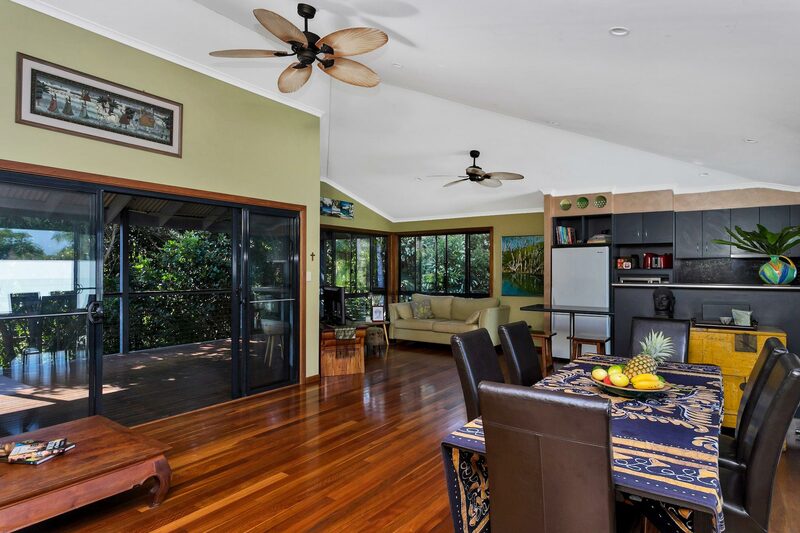 Open plan lounge and dining area opening to covered entertaining deck with beautiful rural views to one side and the pool area on the other side. 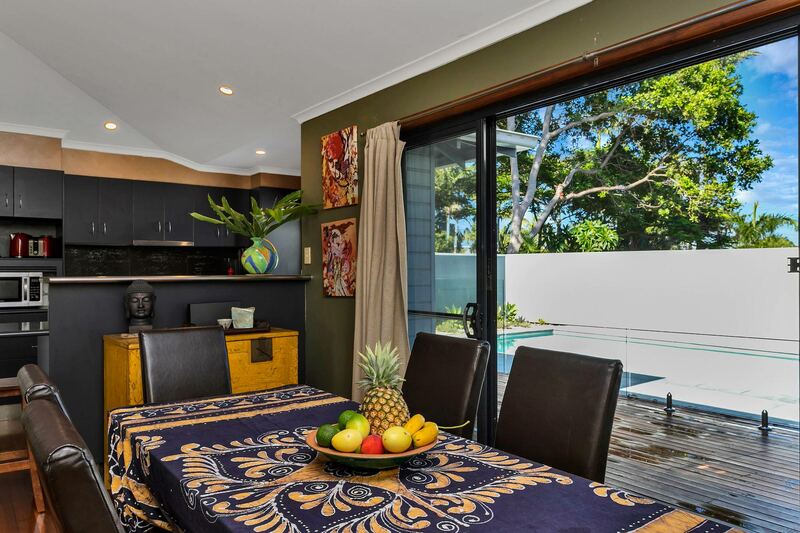 Enjoy a meal in the dining area which opens up onto the pool area. 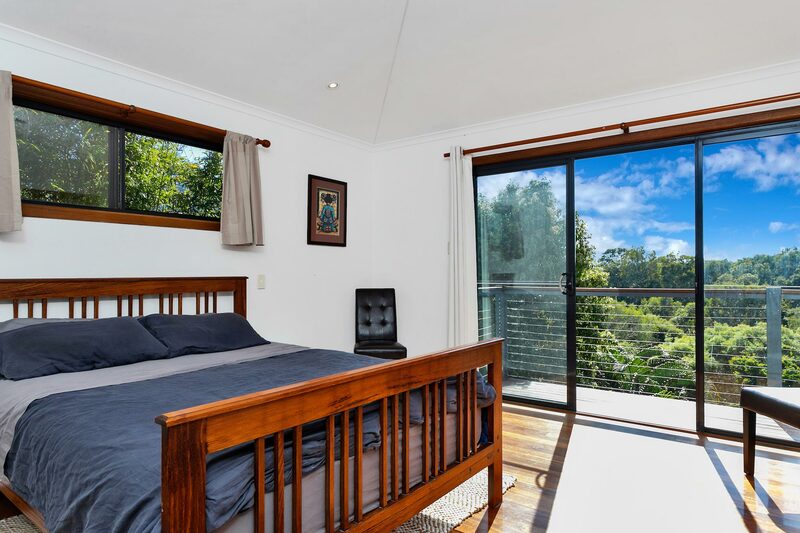 The Master Bedroom features large glass doors onto a verandah with beautiful rural views, a queen bed with an ensuite. 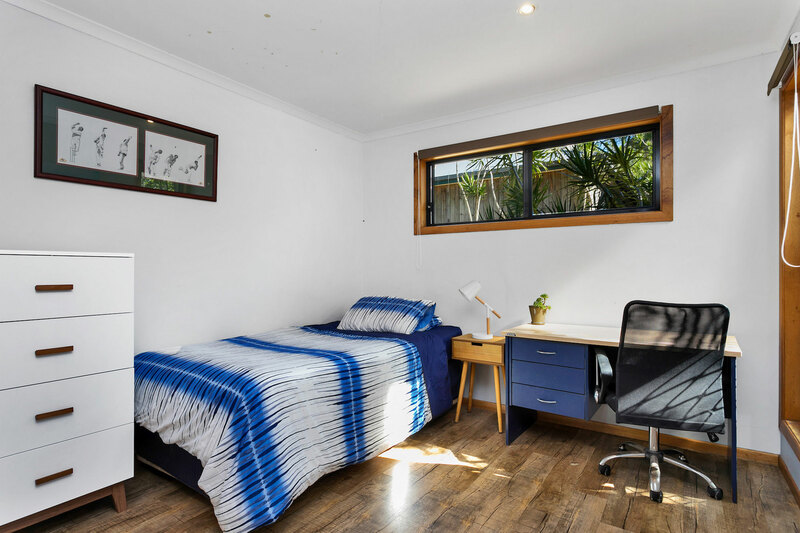 The second and third bedrooms have a single bed with a single trundle bed. The second bedroom has a verandah overlooking the garden. 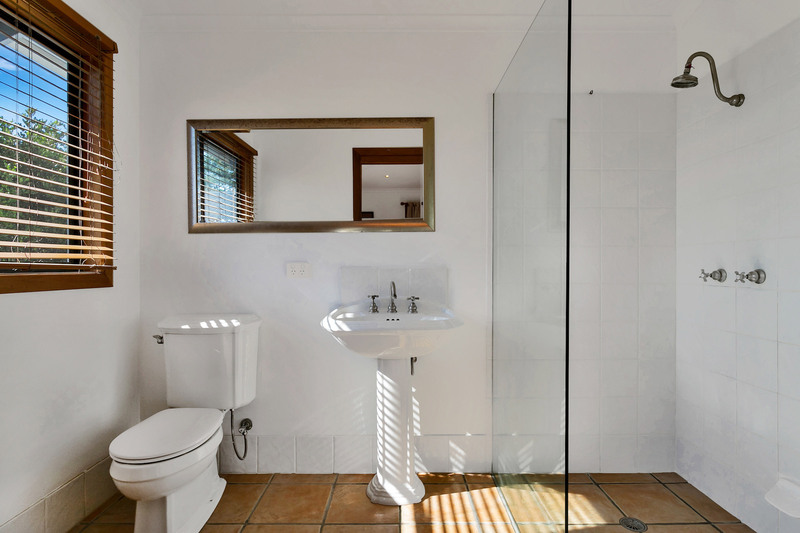 There are 2 bathrooms provided for guests - an ensuite to the main bedroom upstairs, and a bathroom with vanity and shower and bathtub located downstairs. 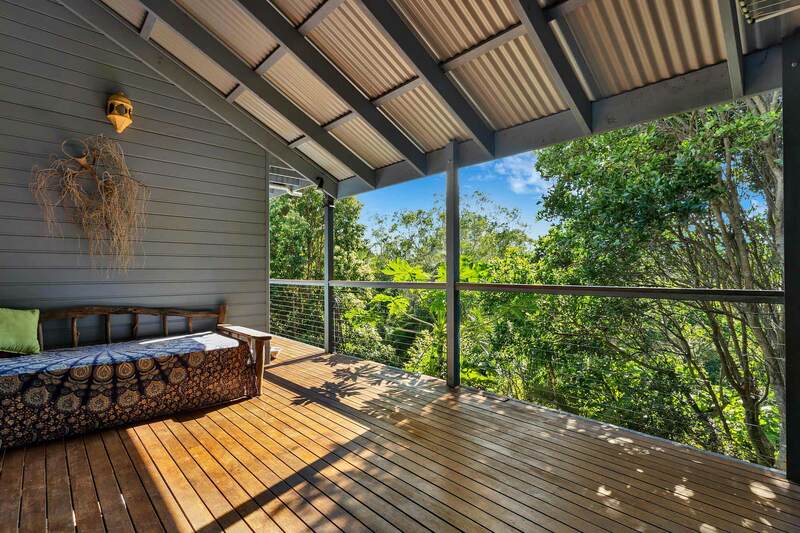 A daybed is perfectly located to enjoy the peaceful deck and rural views. 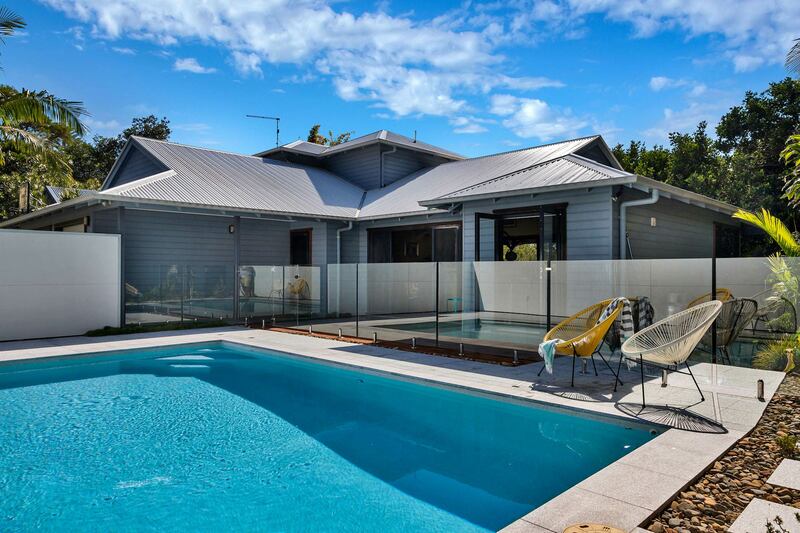 A beautiful in-ground pool is provided for guest enjoyment. There are two off street car spaces in front of the garage. 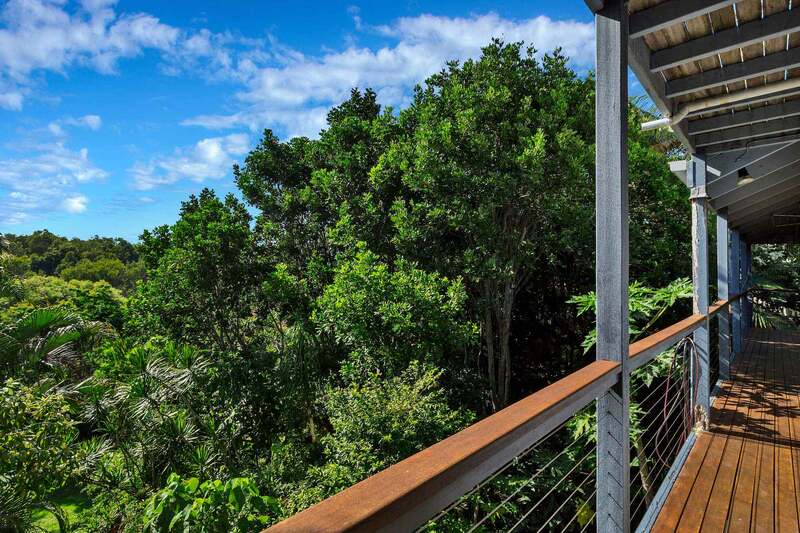 Tranquil setting on the hill behind Lennox Head, yet you know you are only minutes from Lennox Head and Byron's stunning beaches, restaurants, the boutique shops and cafes of historic Bangalow village and weekly Farmer's Markets held at various locations nearby for fresh local produce. 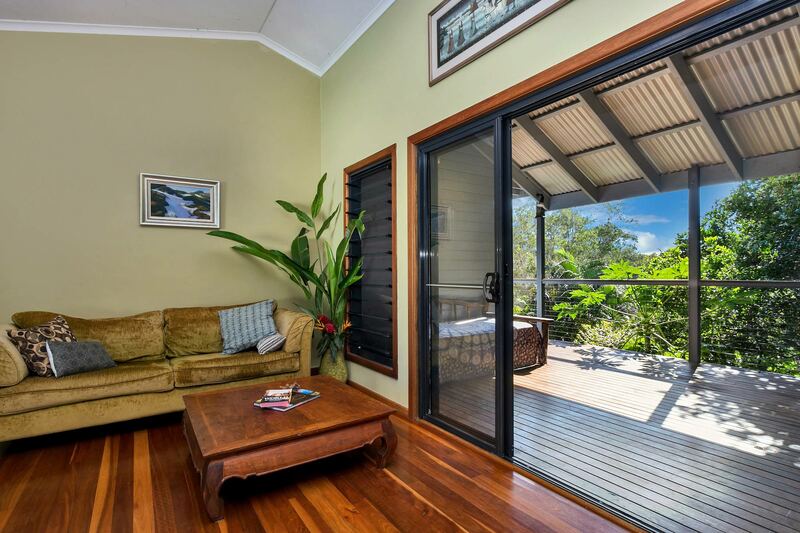 You are only twenty minutes from Byron/ Ballina Airport and fifty minutes to Gold Coast Airport. 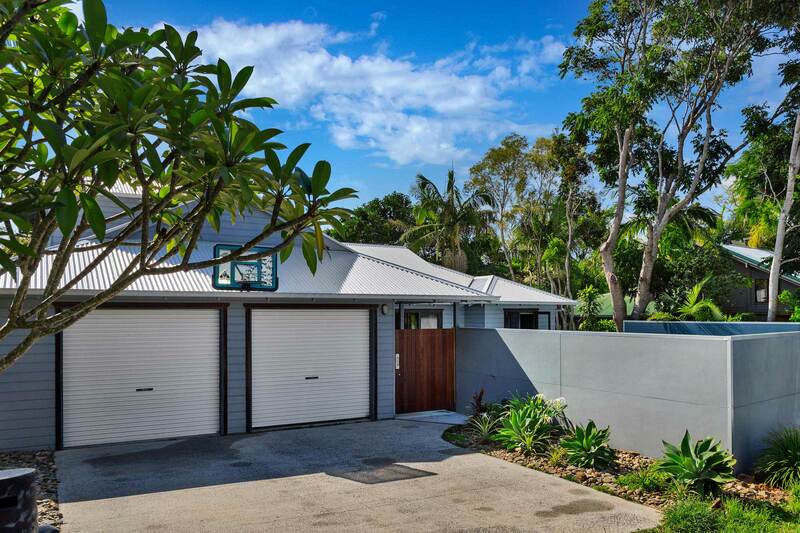 Easy access to Coast Road into Byron Bay to avoid local traffic congestion. 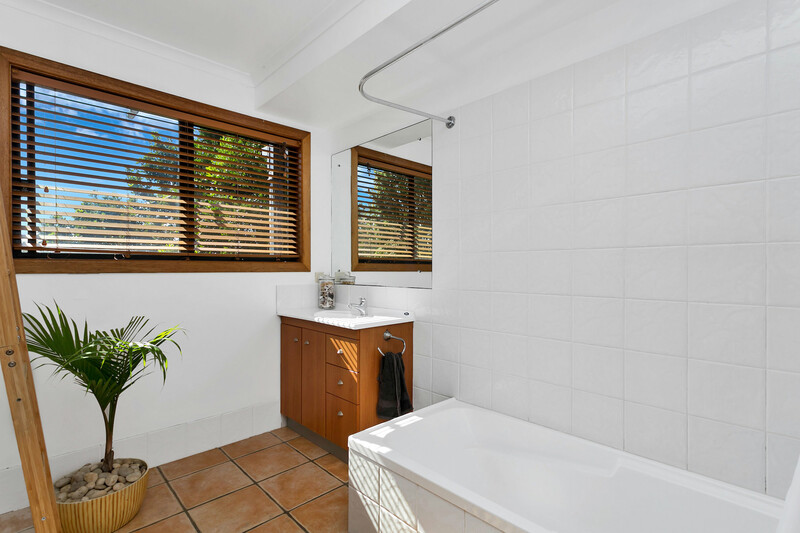 An ideal choice for families and friends to spend plenty of time together while having enough space to relax. - please note there is a no party policy.